After the success of our museum, the crowds have gone as have the newspapers. How do you keep the momentum? A class can’t host a museum every month. The answer is turning inward. 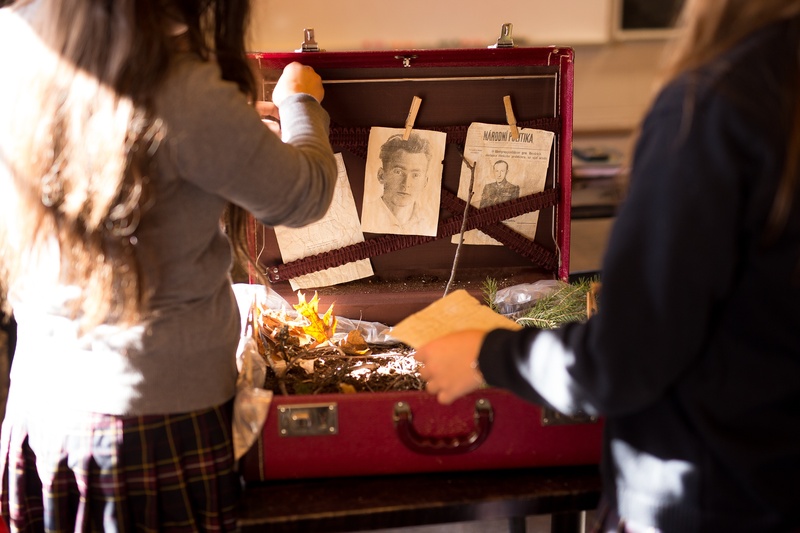 If we ask our students to uncover their past, to the basements and the shoeboxes in their homes, we uncover the ultimate facing history project: That of uncovering their families’ role in Canadian History. So many 15 year olds know their grandparents for their Florida vacation homes and holiday gifts. 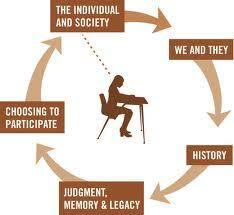 Teachers need to push our students to dig deeper. All these stories can be revealed over dinner and a conversation. A simple phone call can reveal a new world for a student and a new appreciation of family and history. What are their stories? Did they serve? Did they engage in resistance activities? What was their war experience? My students asked these very questions, then gathered and documented these stories and artifacts to display on our Wall of Heroes; a dynamic museum being built in our school halls. Each artifact on the wall (see example below), provides a picture of the both the grandparents and student (with mention that they attend our school), and a brief account of their grandparents’ exploits. While no artifact will tell the whole story, each opens a window into history and encourages us to stop and further explore the connections we have with each other and our history. Jeff wrote that his grandfather was instrumental in developing CAMP X; that he was not only friendly with James Bond’s Ian Fleming but also guarded Igor Guzenko. Igor Guzenko is the first lesson in any grade 10 Cold war unit...but now that man pictured in every Canadian textbook with the bag over his head; the man who heralded the beginning of the Cold War in Canada has new meaning and connection to the class (Those less impressed with that connection at least went to see Sky fall! ). In the same class, a young lady named Lindsay knew only her Polish Catholic roots. Yet after investigating further, her family turned out to be Jewish! Her family had to hide from the Nazis. Her grandmother will soon be a part of our Wall of Heroes . Teachers, how many of our students’ grandparents, great grandparents, aunts and uncles have built this country’s history? A life revealed on the Wall of Heroes. Museums don’t have to come from New York. Every student’s family is a small window into the past. At our school, kids are coming from everywhere to tell their families’ tales. A simple plak, costing $11.99 from Staples, brings their history to life for a school and a community. For more information on how to proceed and see our online archive, visit genocide@waterdown and look under Wall of Heroes. Let’s get the museum started! was born on Dec. 27, 1902 in Tilburg, The Netherlands. After completing his studies, he was drafted into the Dutch army. When German troops invaded Holland in May 1940, he was a captain and in charge of a heavy machinegun detachment. 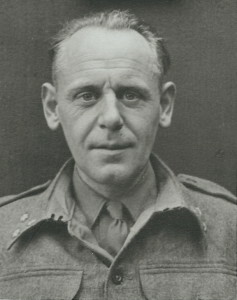 He experienced some of the bitterest fighting in defence of his country on the Grebbeberg Line. For this he was awarded the Commerative War Cross with bar, (Oorlogs-herinnerings kruis). Rather than languishing in Germany as a P.O.W., he went into hiding and joined the local resistance movement. 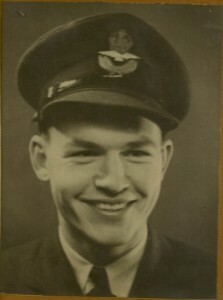 Some of the initial sabotage consisted of destroying railroads, falsifying identity and ration cards but as the war progressed his group focused mainly on the rescue and returning of Allied pilots and aircrews. These activities were punishable by death. Both the governments of the U.S. and Britain awarded him certificates of gratitude and appreciation. He is the great grandfather (Groot Opa) of current students S__________and J______ L___________.